The son of the famed explorer, he was born on February 12, 1920. "Richard Evelyn Byrd, Jr., the son of the famed Arctic explorer, who was found dead on October 3, 1988 in a Baltimore warehouse, died of malnutrition and dehydration to which Alzheimer's disease contributed, Maryland's Medical Examiner has announced. Byrd, 68, who had been missing for three weeks after boarding a train in Boston for a trip to Washington, D.C., apparently got off the train in Baltimore and began wandering, according to the Medical Examiner." 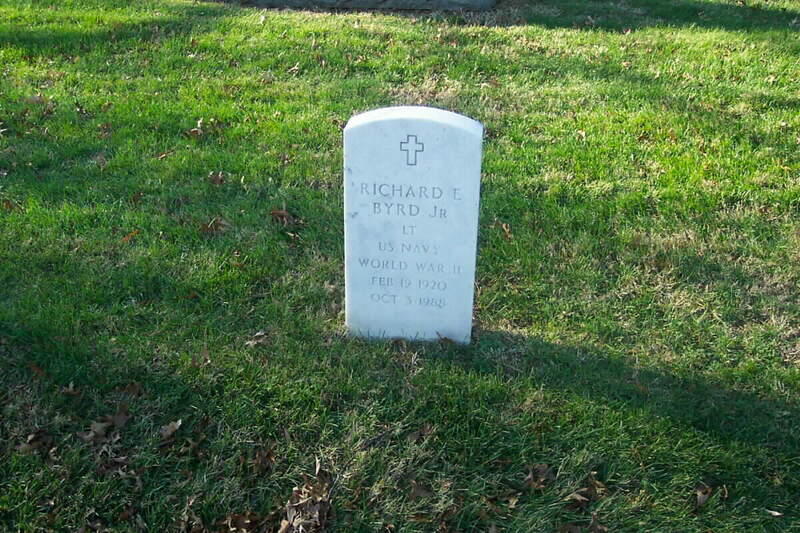 Byrd served in the United States Navy in World War II. He is buried next to his parents in Section 2 of Arlington National Cemetery.